THE 118TH WOMEN’S WESTERN AMATEUR CHAMPIONSHIP has had a thrilling week at Mistwood Golf Club in Romeoville. This year the new format saw the field of 120 players was reduced to the low 32 players after 36 holes of stroke play. The remaining low 32 players then advances to match play. players that did not advance to match play, were done for the week, unlike in the past when players got put into flights and continued to play. This year to make the match play, the final four players survived a playoff of eight players for 4 spots. The match play survivors endured high hot temperatures reaching into the 90’s. To play in the WWGA National Amateur Championship, players must have a handicap index of 7.4 or less for 18 holes. The WWGA conducts a National junior Championship that will be held from July 16-20 at the Cincinnati Country Club, in Ohio. the field is limited to 80 players who have a handicap index of 14.4 or less for 18 holes Players must still be 18 or younger on the last day of the championship. The WWGA does award scholarships to deserving young women golfers Since 1971 over $4.1 million dollars have been awarded to 680 women from 45 different states. For scholarship information please visit wwga.org. THE WWGA NATIONAL AMATEUR TROPHY (L) and BRIANNE BOLDEN of Mokena after advancing to Match play. Bolden was eliminated in the Quarterfinals by finalist Tristyn Nowlin of Richmond Kentucky. Janet Mao of Johns Creek Georgia who plays for the Northwestern University Wildcats and was a member of the Wildcats national finalist team in 2016 at Rich Harvest Farms advanced to the round of 16. Bolden was the last local Illinois player standing from the field. The yardage for this years championship was set at 6,131 yards and a par of 72. Emilee Hoffman of Folsom California and member of the Lady Longhorns golf team at the University of Texas was the medalist from stroke play, and rolled through to the championship match against Nowlin who plays for the University of Illinois. In the championship match both players were All-Square after two holes, but then Hoffman started to pull away, going 3 Up at the turn of the first nine holes, of this 36 hole championship match. Hoffman continued to build her lead on the back nine, and was 7 Up after 18 holes. Hoffman’s lead grew to 8 up early on the second 18, but Nowlin came back one hole later to reduce the margin to 7 Dn. by the end of the front nine of the second 18 holes, Nowlin had cut into Hoffman’s lead again, and was 6 Dn with nine holes to play. But Hoffman settled down and won holes 10 and 11 to close out the match at 8&7. THE 2019 WWGA National Amateur Championship is expected to return to the Chicago area, no official announcement has been made yet, but White Eagle Country Club in Naperville could be a possibility. Week 12 is on the tee for Golfers on Golf Radio Am 750 WNDZ Chicago Tee time is from 10-11 AM. 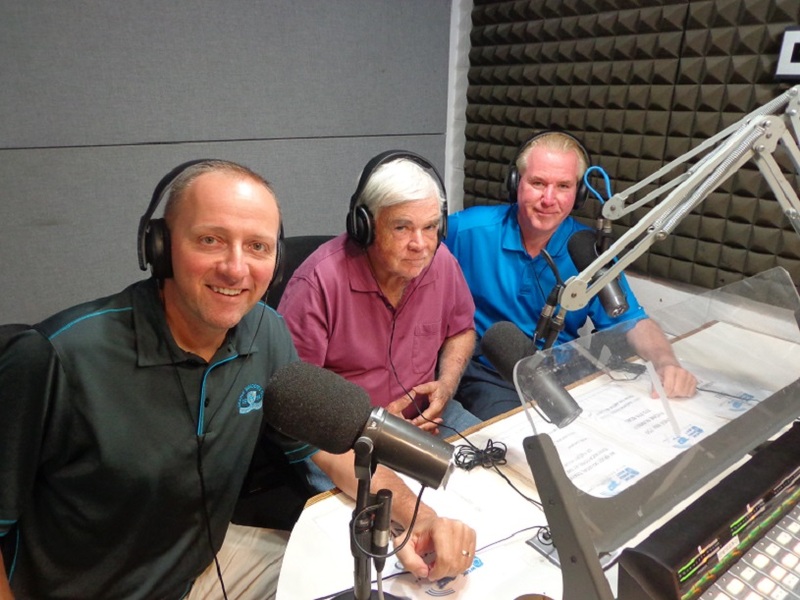 With your hosts Ed Stevenson, Bill Berger, and yours truly Rory Spears. there is great news coming from the Schaumburg Golf Club at 401 N. Roselle Road, as of 6 Am this morning the Players Nine has opened from Renovation, along with the new putting green that is 9,000 square feet. So phase one of the renovation is complete, and Phase 2 beings on Monday with work starting on the Baer Nine. The hope is for the Baer Nine to reopen right around July 1st in 2019. 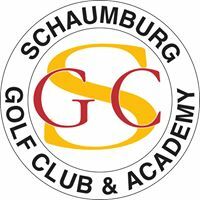 Call Schaumburg Golf today for tee times at (847)-885-9000. SCHAUMBURG GOLF CLUB GM JON PARSONS joins us live at at 10:10 to provide some feedback from opening day. 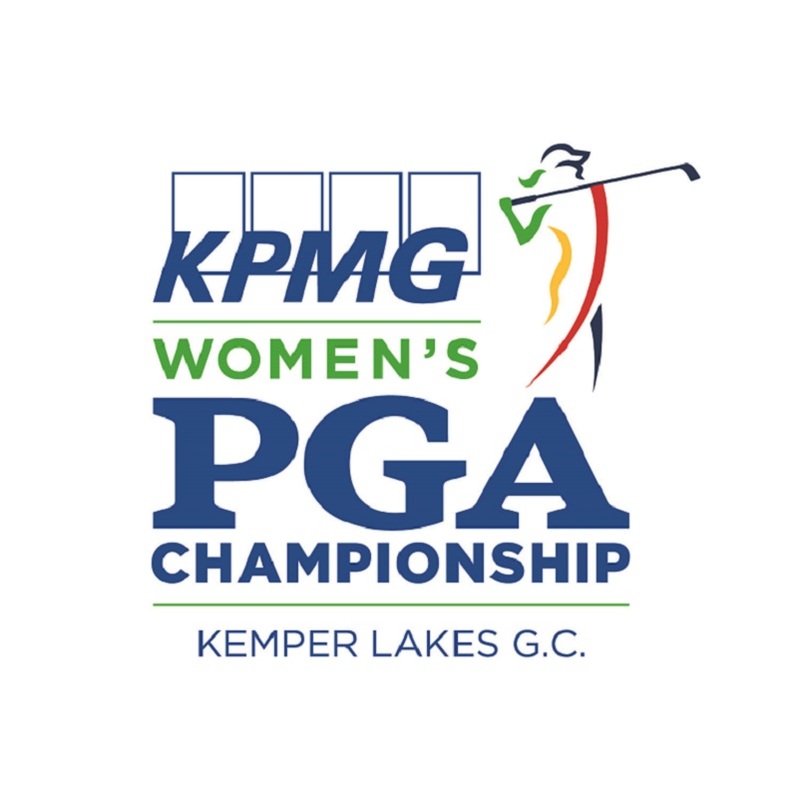 KPMG, you will hear from the players and more on the KPMG Women’s PGA Championship at Kemper Lakes. TIM CRONIN joins us with an update on the 118th Women’s Western Golf Association National Amateur Championship from Mistwood. THE GOG BLOG by RORY SPEARS, Director of Content and Creation. Follow Rory on Twitter @GogBlogGuy, and on Facebook and Linkedin. On the 16th tee at kemper Lakes Golf Club home of this weeks KPMG Women’s PGA Championship. 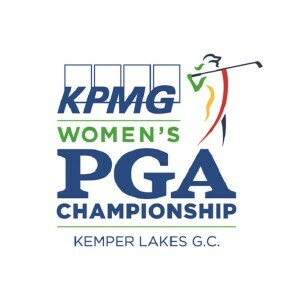 THE KPMG WOMEN’S PGA CHAMPIONSHIP, is now finally underway at Kemper Lakes Golf Club the actual site of this years championship. Tuesday was pro-am day at Kemper Lakes but early rain delayed the start by some 50 minutes. The morning flight was able to finally complete their round, and the afternoon groups tee’d off, with the first groups almost getting finished, but just after 3:30 PM local time, threatening weather returned and everyone was taken off the golf course for the day. 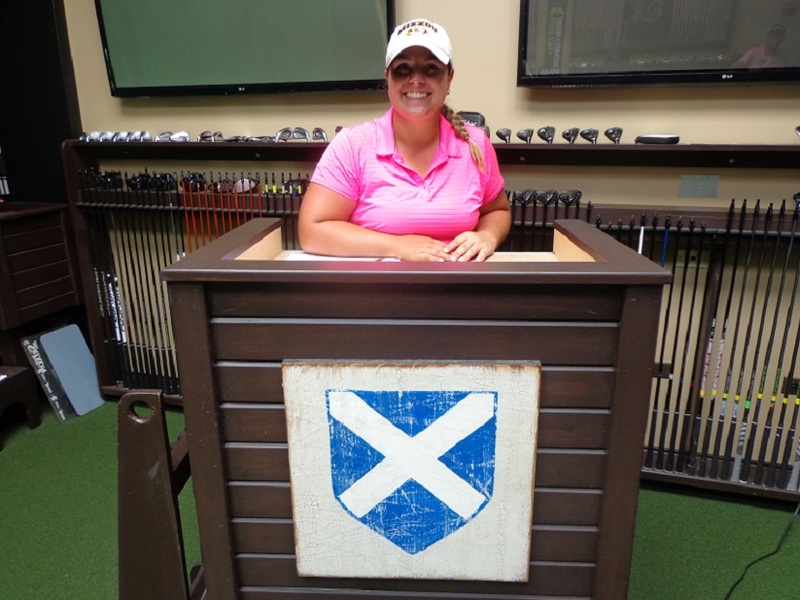 The first group of the morning that started on the tenth tee, was leaded by professional Maria Stackhouse, who promptly made the first ace of the week on Kemper’s near island green the 170 yard par 3, 17th hole. Several of the top players made trips to the press tent for pre-tournament interviews, and they included Lexi Thompson, Michelle Wie, defending champion Danielle Kang and Brooke Henderson winner of the championship in 2016. Click here to hear defending champion Danielle Kang’s championship preview interview. What will be interesting is to see how the players handle what Kemper Lakes final three holes 16-17 and 18 are now known as “The Gauntlet”. When asked about professional golfs newest group of finishing holes, the players did not seem to concerned. But it is still believed that the players who play the final three holes the best will be on the top page of the leaderboard. When asked about the golf course long time LPGA veteran Juli Inkster called Kemper Lakes, “a hard golf course that is playing long after all the rain that has fallen in the week.” The course was wet today, but with high heats levels over the rest of the week, look for Kemper Lakes to dry out quickly over the next few days. The last PGA Championship held at Kemper Lakes was in August of 1989 when the late Payne Stewart won his first major and his only PGA Championship. This weeks winner will be the other bookend to PGA history at Kemper Lakes. Kang who recovered from a slight muscle strain and fatigue that led to a WD the week after the U.S.Women’s Open, said it took her three days of total rest to recover. Kang said that she slept some 48 hours over three days to get her body back in shape. On Wednesday the players get the golf course for final practice rounds in advance of Thursdays first round of play. The Gog Blog returns tomorrow with a recap of day three at the 2018 KPMG Women’s PGA Championship. THEY ARE HERE, the first big women’s championships of the year in the Chicago area, the Women’s Western Golf Association National Amateur Championship tee’s off at the Mistwood Golf Club in Romeoville on Tuesday and then on Thursday it’s the KPMG Women’s PGA Championship at Kemper Lakes. Where all of the Top 100 Players on the LPGA Tour’s money list are playing. That is a great field. Defending Champion Danielle Kang who won in 2017 at Olympia Fields returns to defend her title. Chicago, your host courses for week, come out and enjoy the very best in amateur and professional women’s golf. The KPMG Women’s Championship will be shown on The Golf Channel and NBC, it starts off the week with private event today at Soldier Field for some odd reason.Which is located nowhere the championship site, but then again media day was held in the Chicago River for reasons still unknown. In spite of that, hopefully fans will still come out to Kemper Lakes. Preview interviews with the main players of the championship begin on Tuesday and I will be there to begin the Golfers on Golf coverage for the week. Today the media assembles at Mistwood Golf Club to meet some of the world’s best amateur women’s players. It should be a great week I hope for both tournaments. Plenty more right here all week long from both championships. THIS PAST WEEKEND three of our local players were in the field at the Travelers Championship on the PGA Tour in Hartford Ct., Kevin Streelman a past champion ended up 33rd, Nick Hardy made the cut, got a check as was 61st. Doug Ghim making his professional debut shot 78 in his first round as a pro (nerves maybe) but came back with an even par 70 the next day,but missed the cut by 10 shots, This week Ghim will play at Quicken Loans in DC on the PGA Tour, Hardy comes back to Illinois for a Web.com tourney the Land of Lincoln Championship downstate. THIS PAST WEEKEND it was sad that all the hard work done by our friend Chad Johansen at Blackberry Oaks got washed away by the heavy rains of last week. Johansen had to make the tough call of canceling the Blackberry Amateur that was scheduled for the last two days. Johansen had a record sized field of 109 players in a field that had room for 120. But Johansen, a Cubs fan, knows the meaning of the saying “wait til next year”, and I’m sure the BB-AM in 2019 will be the best ever. In the meantime go play BB-Oaks, it’s a fun course and a play “Where Kids Rule” so bring our your favorite junior golfer. Blackberryoaks.com. ONE EVENTthat won’t get flooded out is the World Amateur Championship in Myrtle Beach, that will be held August 27-31. Yje World’s largest Amateur normally draws over 3,000 golfers, and with over two months left to sign up, the number of entrants is over 2,900. the championship gets played on more than over 60 of Myrtle Beach’s golf courses. Part of the nightly fun in the worlds largest 19th hole. Registrations are taken at MyrtleBeachWorldAmateur.com. 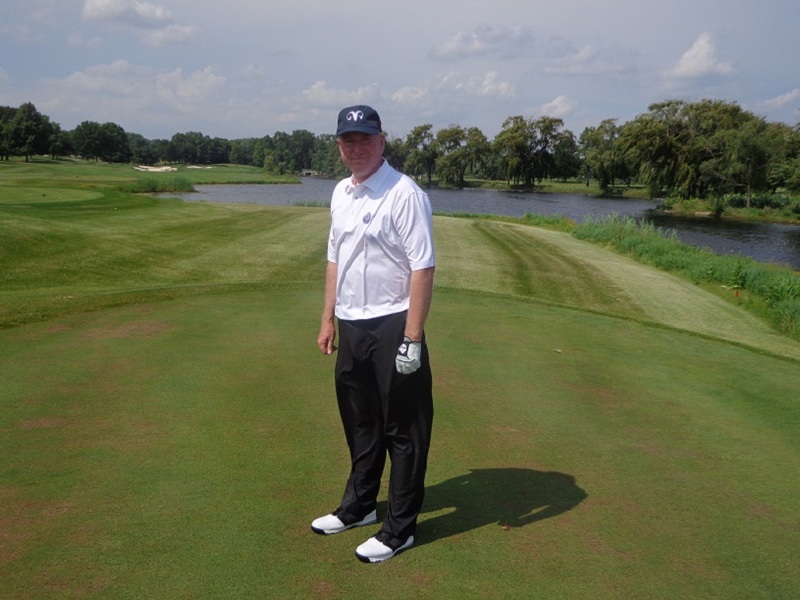 Myrtle Beach is a real fun place for golfers, if you have not been there you need to be. PGA TOUR PRO Kevin Streelman will give back to the game when he works with junior golfers at his old stomping grounds of Cantigny Golf in Wheaton on July 9th. time is from 9-4 PM, and Pre-registration is required and junior golfers can bring one guest. Cost is $45. 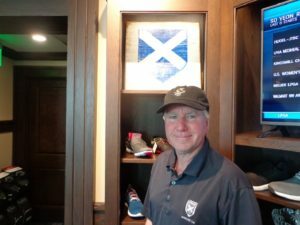 The day includes Driving range and on course presentation with Kevin, Short Game Skills competition, a BBQ lunch, A photograph with Kevin, autograph session with Kevin and a silent auction fundraiser. To sign up (630)-257-9806. THE GOG BLOG by RORY SPEARS, Director of Content and Creation, Follow Rory on Twitter @GogBlogGuy and on Facebook, Linkedin. On the 16th tee at Kemper Lakes home of this weeks KPMG Women’s PGA Championship. 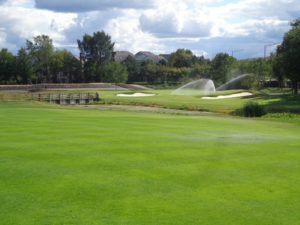 There isn’t new much new construction going on when it comes to golf courses across the country. So when a new one comes on board, it is cause to take note. The good news is that there is another new course called Sage Run and it’s ready to open on July 10th. 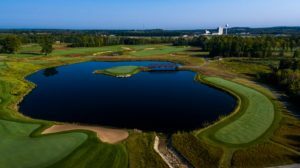 The Island Resort and Casino in Escanaba in the Upper Peninsula of Michigan is the third new course to open in Michigan in the last three years. The resorts first course Sweetgrass is hosting a Symetra Tour event this weekend. 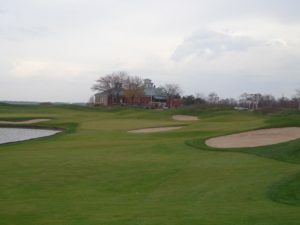 Sage Run is designed by Paul Albanese and will complete a full foursome of great golf courses in the area. 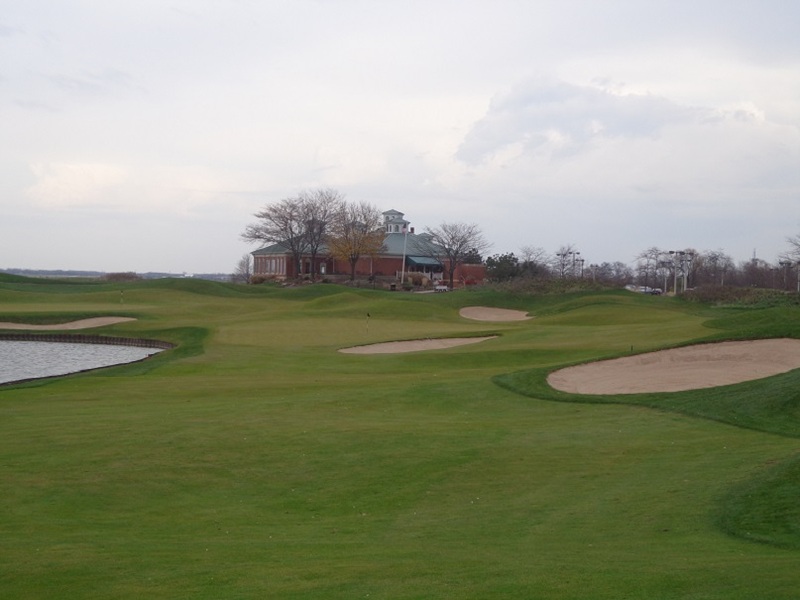 The new Sage Run golf course is different than the Albanese designed Sweetgrass course. The new Sage Run takes the golfer around a ridge that provides scenic views during the round. Golfers wishing to get away from the hustle and bustle of the big city, should enjoy a break in nature while they enjoy the golf courses and all the resort has to offer. Island Resort and Casino, has plenty to offer off the golf courses, including the casino, restaurants and spa. For more information on the new Sage Run Golf Course and more please visit Islandresortandcasino.com. 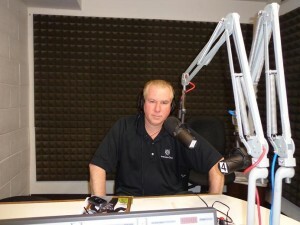 GOLFERS ON GOLF RADIO WEEK 11 was quite show, if you missed it, look for it to be posted on our sire in the days ahead. This morning Ed Stevenson, Bill Berger and Rory Spears were joined by USGA 2019 U.S Open at Pebble Beach Championship Manager Danny Sink, and PGA of America Director of Course set up Kerry Haigh. Sink talked about both the U.S. Amateur Championship at Pebble Beach this August, and the U.S. Open next year. Haigh spoke about stetting up Kemper Lakes for this weeks upcoming KPMG Women’s PGA Championship. Defending Champion Danielle Kang heads up a solid field that has all Top 100 players from the LPGA money list. Kpmgwoemnspgachampionship.com for ticket or more information. Come out to Kemper Lakes this week. 29 major championship winners are in the field this week at Kemper Lakes. SWEDEN’S JENNY HAGLUND has just excepted a special exemption to play in this weeks KPMG Woemn’s PGA Championship. PRAIRIE LANDING in West Chicago announces a new golf cart experience for all of it’s players. The new high-tech golf carts are called YamaTrack Carts and club has ordered 76 of them. The new Prairie Landing carts have a free App that helps players improve their game. This APP includes course diagrams, and GPS precise distance pins. Golfers can now download the Yamatrack app on their smartphone for a more interactive Prairie Landing golf experience. The new cart helps keep carts out of area’s they should not be near, and stops them if needed. The new Yamatrak cart is great for ordering food and beverage as golfers make the turn. “We’re always looking for ways to upgrade our club facilities in a manner that benefits golfers of all skill levels,” said JR Starnes, Golf Operations Manager at Prairie Landing. “These YamaTrak cars provide us with a unique opportunity to take the game to the next level right here in West Chicago.” For more details see prairielanding.com or call the pro shop at (630)-208-7600. 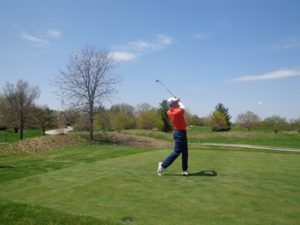 PGA TOUR PROFESSIONAL KEVIN STREELMAN will give back to golf on Monday July 9th at Cantigny Golf where he grew up and previously worked, For more details visit Cantignygolf.com. Streelman will spend the day with junior golfers covering different area’s of the game. It was the first day of summer in Chicago, and for the most part rained all day, playing havoc with several local golf events. 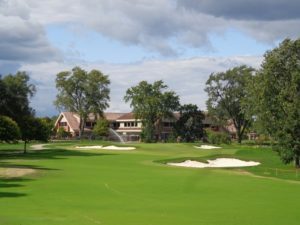 FIRST ON TEE at Olympia Fields was the scheduled Thompson Cup Matches, a senior version of the Radix Cup Matches between CDGA Amateur players and Illinois PGA section professionals. The early rain caused championship manager Chuck Thompson to call of the the matches mid-morning. No make-up date has yet been set. 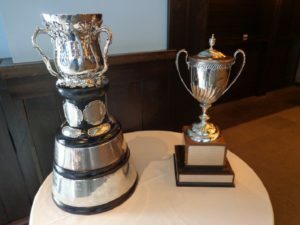 THE 101ST WESTERN JUNIOR Championship at Evanston Golf Club got underway at 7 AM and play was halted due to heavy rains at 9:15 AM during round 3, on a 36 hole final day. 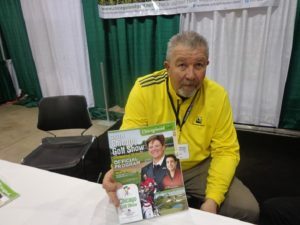 Some players did play 12 holes, but after a long delay of over 7 hours, the Western Golf Association canceled the third and fourth round and declared second round leader Jeff Doty of Carmel Indiana the winner. Doty and his group had played only three holes when play was stopped. Doty was +1 on the day and in tie with Karl Vilips of Australia. Doty called the win his No.1 accomplishment in golf. For Vilips it was his second straight second place finish at the Western Junior Championship. Doty gets an exemption into the Western Amateur this year at Sunset Ridge CC from July 30th to August 1st. Vilips is also in the Western Amateur Field. Will Thompson during Round 2, set the competitive course record at Evanston with a 7 under par 63. Jake Beber-Frankel made a hole-in-one in Round 2 on the Par 3, 4th hole of 202 yards. The top local finisher was Luke Armbrust of Wheaton in 7th place. THE CDGA AMATEUR in Deerfield saw it’s 36 hole final round shortened from 36 holes to 18 holes. Two Illinois State University teammates fought it out, and on the fifth playoff hole, David Perkins sank a birdie putt to defeat Trent Wallace. The rain delay ran 4 hours and 15 minutes. The players did play several holes in a steady rain. Perkins had the early lead, but Wallace came back to lead Perkins made a birdie on 17 to force extra holes. Next up for the CDGA on the tournament side is the Illinois State Amateur Championship at Bloomington Country Club from July 17-19. The second round of the 101st Western Junior Golf Championships at the Evanston Golf Club, saw Jeff Doty of Carmel, Indiana shoot a six under par 64 to take a one shot lead over Karl Vilips of Perth Australia, the #1 rated player in the AJGA Rolex Rankings. Doty heading into his sophomore year at Northern Florida started off with five birdies and no bogeys on the front nine. Vilps who is committed to Stanford, drove the green on the Par 4, 5th hole, his 14th hole of the day. That ended up putting him in position for a two-putt birdie, and then he made two more birdies coming in to earn second place. The round of the day went to Will Thompson of Naples Florida who shot a 7 under par 63, Thompson who is committed to Texas said he “never sniffed a bogey.” Thompson sits alone in third place two strokes behind the leader Doty. The cut came at two over par, and 44 players advanced to the 36 hole (weather permitting) final on Thursday. 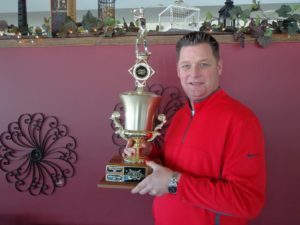 Players advancing included defending champion William Mouw, who is trying to be the first player in 77 years to successfully defend his title. Mouw is T-13 and sits at one under par. Luke Armbrust of Wheaton fell back with a one over par 71, and is four shots off the lead. Brendan O’Reilly of Hinsdale made the cut and is T-8 at two under par. Illinois recruit Tommy Kuhl of Morton missed the cut by 1 shot. Tyler Isenhart of Geneva made the cut and is at even par 140, he sits T-17. More details o the champion at Westernjunior.com. THE HYPE AND BUILD UP ARE OVER, so is the 118th U.S. Open at Shinnecock Hills, and now it’s on to Pebble Beach in 2019. Brooks Koepka, successfully defended the U.S. Open title he won at Erin Hills in 2017. He is the first back-to-back winner since Curtis Strange in 1988 and 1989, Strange’s run came to an end at Medinah in 1990.Will Koepka’s come to end at Pebble Beach. WHAT AN OPEN ! whether you liked it or not, what went on all week has left people talking. PHIL AND TIGER, it started with them, and the experts and bookmakers both giving them a chance to win. As it turned out, neither really had a chance, even though “Lefty” shot two of his four rounds under par. Phil’s exploits on Saturday left much to be desired, even though he had an interesting commentary on his actions to hit a moving ball on the 13th green. The fact he had been thinking about it for some time was interesting, and was it a protest to course set up by the USGA. Perhaps. Personally is it necessary that if a player putts a ball a few feet past the hole on those hard-rock greens that it should end up in a deep bunker, in the fairway 40 yards from the green, or even over in deep rough or fescue. I couldn’t believe the amount of people crying to DQ him, seriously your life or golf game will be affected if Phil doesn’t get DQ’d on his birthday. For all those saying Phil’s legacy takes a big hit with the New York fans or golf fans in general, relax, how could you not love the guy after his amazing par on 13 on Sunday, that left him looking like Rocky, classic stuff. BTW, according to the USGA, Phil did not violate Rule 1-2 that would have left him DQ’d. Two shots is enough in that situation. I hope he wins the British or the PGA just to shut a few folks up. TIGER, was done after he tripled the first hole. Some of the FOX folks kept acting crazy about him, and even saying 10 over was going to make the cut, they were hoping it would. But the golf world knew differently, and enjoyed the weekend without him so we saw more players, and more real golf action. For all those outlets that gave us pictures of his yacht arriving in New York, how come we didn’t see it pulling out on Friday night and heading back to Florida. Credit to Paul Azinger for saying Woods is nothing but an average middle of the pack player around the greens these days. Bingo! In spite of that the USGA ruined the top pairing by adding Woods ranked #80 with world’s #1 and 2 Dustin Johnson and Justin Thomas. When it should have been OWGR #3 or the defending champion Koepka. NOW the USGA could face a dilemma, yes another one. Woods exemption into the U.S. Open is over, unless he wins the British Open, the PGA, or the Fed Ex Cup, will they make him go through qualifying or give him a free pass into Pebble Beach. There was no free pass for Steve Stricker into Erin Hills, none for Retief Goosen who actually won at Shinnecock in 2004, for this year. Make Woods go to qualifying. 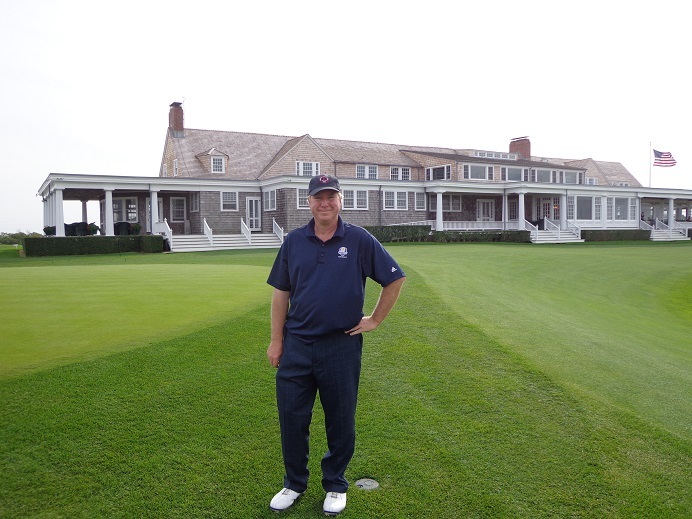 IT WAS NICE TO hear Joe Buck get one thing right, his compliments for Shinnecock superintendent Jon Jennings, our former guy in town here at the Chicago Golf Club. Jon and his crew did a wonderful job making SHGC look great on TV. THE QUESTION being raised by several talking heads is that, should the USGA be the folks who should run the U.S. Open, that maybe the PGA Tour or PGA of America could be involved, or even the R&A, Is Kerry Haigh the PGA set up guy, somebody who could be in charge instead of the Mike Davis team. Does the USGA go too far in set up to “protect par”, that there is no room for error. It seems that way at times and it’s something the USGA has to review. But in defense of Davis, for all those who thought last year was too easy, and Koepka’s score should never win the U.S.open, now it’s back around par, and the same people aren’t happy. You just can win if your the USGA. AS FOR ME, I think if a handful of players are under par, it’s no big deal. I’d like to see about 10 players break par, with a winning score of about 4-5 under par. if the USGA can set things up that way, it would be a winner. FOX TV still has several years left on it’s deal with the USGA, which is too many for some folks. The biggest issue is Joe Buck being the lead announcer, I’m not Buck’s biggest fan, but he is better than Dan Hicks. I think Azinger, along with Gil Hanse do a great job, and I thought getting Strange involved big yesterday was solid. From a tech standpoint, Fox is getting better and making things work, but the leaderboard needs to show more names more often. I WAS NOT pleased to see former Illinois guy Dylan Meyer get so little if any coverage over the weekend, he and Stricker were more or less shut out. Stricker only got mentioned because he has the longest cuts made streak in the major championships in all of golf, and he was playing with the amateur Matt Parzaile who is a local fireman, and he tied for low-amateur. BRANDEL CHAMBLEE tee’d up the USGA, suggesting there is no leadership at the top, and I’d like to think that Davis deserves better than that. I’d like to hear what Davis has to say about that. 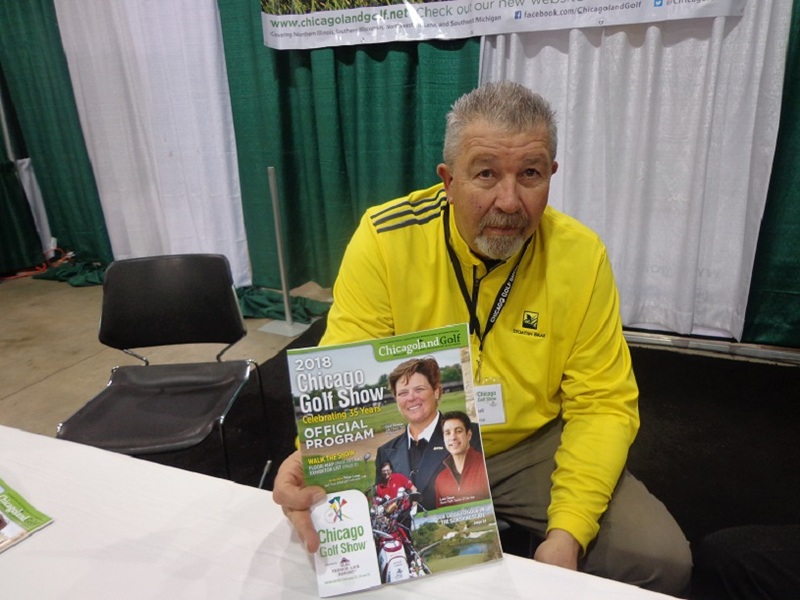 I have been trying to get him on our radio show for years and the USGA usually gives me a reason on why it has not been possible, but the USGA has promised that he will join us in advance of the U.S.Sr. Women’s Open. Based on the last week, we will see if that holds true. Stay tuned. LOCALLY, I sent best wishes to the 11 Illinois PGA Section members who headed west to the Bayonet Black Horse course in California, to compete in the PGA Professional Championship, where the top 20 finishers from a field of 312 players get to play in the PGA Championship at Bellerive in August. The 11 professionals are, three-time winner of the event Illinois Golf Coach Mike Small, Adam Schumacher of Indian Hill, Jim Billiter of Kemper Lakes, Simon Allan of Flossmoor CC, Kyle Bauer of the Glen View Club, Doug Bauman of Biltmore, Brain Carroll of Royal Hawk, Dakun Chang from Twin Orchard CC, Connie DeMattia of Cantigny Golf, Chris Green of the Glenview Club, and Brett Walker of Conway Farms GC. Round 2 now underway and Carroll, Small and Chang are the top 3 of our IPGA group in the standings and they have a chance to make today’s cut, that lowers the field to 90 players. THE WESTERN GOLF ASSOCIATION (WGA) begins it’s golf season this week at the Evanston Golf Club in Evanston Illinois, with the playing of the 101st Western Junior Golf Championship. 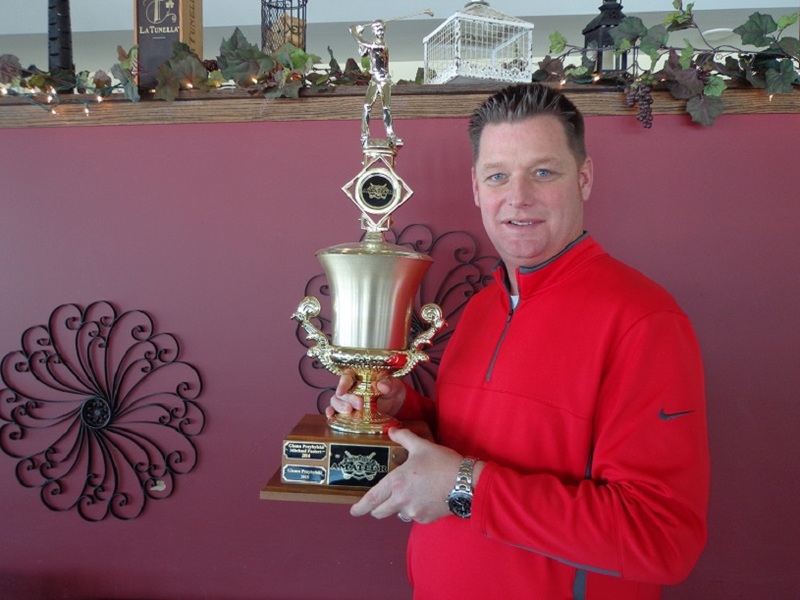 William Mouw of Chino California returns to defend the title he won in 2017 at the Park Ridge Country Club. Mouw who has committed to play college golf at Pepperdine University. Mouw’s score of 272 last tued tied the WGA Junior record set by current PGA Tour professional Hunter Mahan. Should Mouw be ab;e to repeat as champion, he would be the first western junior champion to repeat since Ben Dowling in 1940-41. Past WGA junior champions include Mahan, Rickie Fowler and Jim Furyk. While the WGA-Junior has been played in 15 states and several top Chicago area clubs, this marks the first time it will be played at Evanston. The championship has been held since 1898 and Evanston is one of the 11 charter club that help in founding the WGA. The course was designed by the famed architect Donald Ross, and renovated by Ron Prichard in 2007. Two local players of note include Illinois incoming freshman Tommy Kuhl of Morton, and Illinois Sophomore Brendan O’Reilly. For more details on the championship that runs Monday-Thursday of this week see westernjunior.com. 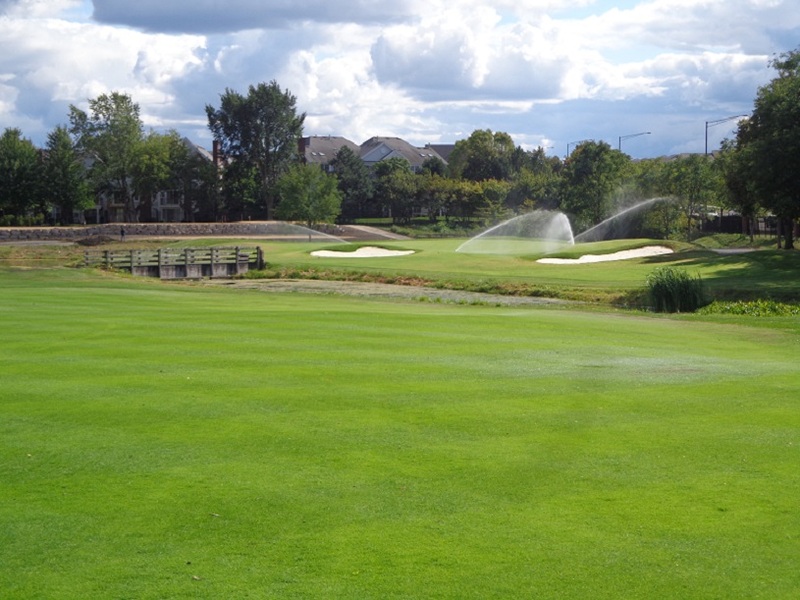 THE 116th WESTERN AMATEUR will be played at the Sunset Ridge Country Club from July 30th through August 4th. Founded in 1899 the Western Amateur includes past champions like Jack Nicklaus, Phil Mickelson, and two time winner Justin Leonard. In 1972 Subset Ridge hosted the Western Open won by Jim Jamieson. Both of last years finalists have moved on to the professional ranks, but the field is still expected to be a strong one. Five players expected to play are U.S Open qualifiers, including Will Grimmer. Local architect Rick Jacobson did renovation work on the course in 2006. This is the last year until 2021 the Western Amateur will be held in the Chicago area, when it returns to the Glen View Club. both events have free parking and free admission. THE GOG BLOG is written by RORY SPEARS, Director of Creation and Content. Follow Rory on Twitter @GogBlogGuy and on Facebook and Linkedin.